Lungu and his wife achieve something at UN meeting: they have managed to get photos with USA president Barak Obama and his wife. The other day, despite frantic efforts, he failed to shake hands with the Pope. Some Zambians though mockingly say this is the Kwacha posing with the Dollar. 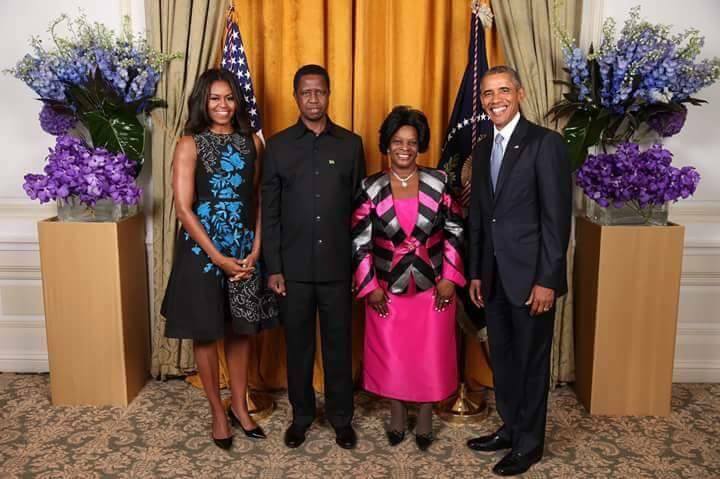 Congratulations a Lungu for managing to be photographed with Obama. You have really achieved something for once. We are sure this is what you were elected for and will help most Zambians.